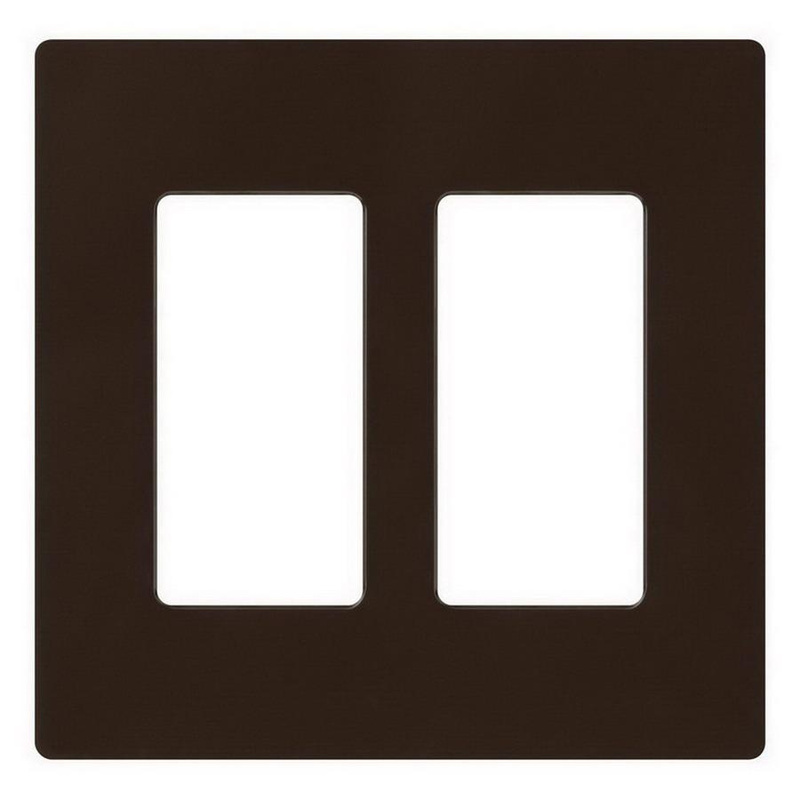 Lutron Claro® Satin Colors® 2-Gang Standard size screwless decorator wallplate in brown color, features thermoset construction. It measures 4.69-Inch x 4.75-Inch. This device mountable wallplate in square shape, is ideal for placing in vertical orientation. It has cut-out of size 1-5/16-Inch x 2-5/8-Inch. This designer wallplate involves quick and easy snap-on installation. Oversized wallplate hides gaps around wallboxes to render clean look. Wallplate comes in two rectangular device configuration. It is suitable for use with decorator style dimmers, switches and accessories. Wallplate is UL listed and CSA certified.